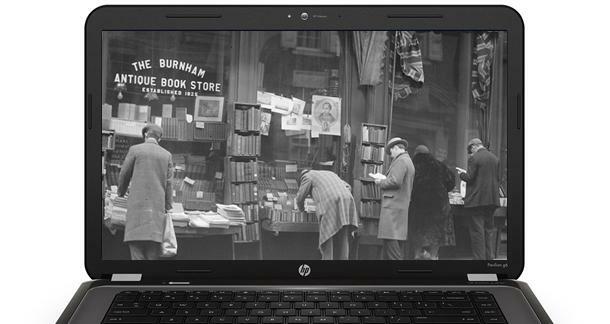 Back in the "good old days" before Amazon and the Kindle, readers got their hands on new books in one of two places—either the library or a bookstore. In the halcyon days of yore, a successful book marketing campaign could be measured in bookstore placement. If one was lucky enough to produce a quality book which happened to tickle the fancy of the right literary agent while he or she was in the right frame of mind—say having found out that they were expecting their third child—and their mind wasn't totally numb from slogging through the slush pile and said agent was able to convince a publisher to accept said book, which was then sent through the sausage grinder of a Big Six editing department, and it came out the other end as a polished and marketable product, and the marketing department didn't louse the whole thing up with a hideous cover or poorly written description, then success was getting in the bookstore in the first place. Congratulations, you had just become a member of the elite club of published authors. What was perhaps a narrower, but more defined stream for a successful book has now fragmented into a delta of endless twisting water courses, a large number of which meander to nowhere and some of which bypass the bookstore altogether. Once this Herculean feat was accomplished, the trick was—and remains for traditionally published authors—to sell enough books to convince a publisher to keep your book in print and thus keep you making royalties. One could measure a book's anticipated success through bookstore placement. Was your book merely placed in alphabetical order on the appropriate shelf, or was it given a place of honor on an end cap? Did it come from the publisher with its own cardboard marketing display and posters or simply a press release? An author could be said to have moved from the ranks of the merely published onto superstar status when their books were featured prominently in the front window of the book store. At one time, the front window of the bookstore represented a coveted place among authors and the pinnacle of visibility for a book. Times have changed. What was perhaps a narrower, but more defined stream for a successful book has now fragmented into a delta of endless twisting water courses, a large number of which meander to nowhere and some of which bypass the bookstore altogether. It is now possible for a book to become a publishing phenomenon without placing a single copy in a bookstore. Just witness the success of authors like John Locke and Hugh Howey, both of whose initial success came solely through Kindle sales. Of course, there is Fifty Shades of Grey, the success of which seems to have unleashed a wave of books describing the various uses for bodily orifices and means by which human beings manipulate each other into permitting the use of said orifices. (If the Kindle top 100 on Amazon is any indication, we seem to like our titillation, especially when we can put it on our electronic device where the cover doesn't give us away.) These new models for publishing success have combined with the prominence of online shopping giant Amazon and the dwindling number of physical locations to purchase books to make it clear that the internet has become the new front window of the bookstore. What is also clear in the new publishing paradigm is that all but the very top-selling authors with the Big Six are now expected to market their own books themselves. As margins get more squeezed, it has been the publicity arm of the publishers who have suffered. Now it isn't uncommon for a publisher to ask a prospective author for their marketing plan before deciding to publish their book. The lack of marketing, plus the availability of distribution through Amazon, has gone far to level the playing field between indie and traditionally published authors. Whether you are a first-time traditionally published author or a mid-list indie author making a career of it, you are the engine which drives your own sales. What is much less clear in the online world is just what activities a writer should engage in to help take a book from launch to success. Every author who has a successful book, particularly a self-published eBook, thinks they know the secret of book marketing success on the internet. Many of them have published books on the topic. What I find amusing is that I am friends with several successful indie authors, and they all seem to have a different story about what made them successful. Hugh Howey, author of the runaway hit Wool, will tell you to just write another book and keep writing until one of them takes off on its own. That fits with what happened to him. Wool was available for almost a year before it mysteriously took off without any prompting from Hugh. But don't let Hugh fool you into thinking that he just writes all day and ignores his books—not in the least. Hugh is one of the most accomplished social marketers in the writing community. He posts book related items to Facebook regularly. He is highly responsive on Twitter. He has his own blog, which he updates often. He answers emails constantly, including from other writers. He manages his space in the front window of the internet meticulously. Will Hertling, who wrote Avogadro Corp., which has been selling well enough in the last few months for him to have agents making him offers, followed a very specific marketing plan that helped him reach takeoff speed in the Amazon referral engine almost immediately after the release of his first book. However, Hertling is a programmer with a social network full of other programmers. His book series is about programmers accidentally creating an autonomous AI. Hertling had a built-in audience for his book. A couple of great reviews in the right publications, as well as a solid group of Amazon reviews, and it took off. In my own situation, my nonfiction book on everyday personal finance took off easily. I found success by using the Kindle Direct Program and giving it away. In my first five days, I gave away over 900 copies. Since then, I have had days on which I gave away over 1000. How to Manage Your Money When You Don't Have Any has been a repeated Kindle bestseller. So when I published my first fiction, I assumed that reaching takeoff speed would be easy—yeah, not so much. While the Amazon reviews have been positive, neither of my fiction books have reached takeoff speed by simply using Kindle free days to give them away. As a science fiction writer, I am still waiting to be discovered. In the online world, there really isn't a single front page, despite Reddit's claim. The internet is a fragmented and sectioned off society in which individuals socialize and interact in specialized affinity groups. Human beings, particularly American human beings, like to find cause and effect in almost every situation. We want to know that our choices mattered—that they made the difference between success and failure. I still think this is true when it comes to the new era of book marketing. I just don't think we yet understand all the ingredients in the secret sauce. In the online world, there really isn't a single front page, despite Reddit's claim. The internet is a fragmented and sectioned off society in which individuals socialize and interact in specialized affinity groups. This creates a difficulty for an author responsible to market their own work. Not every book will appeal to every audience, and there is no single website which will reach all of them. In the online world, authors will need to identify those groups likely to purchase their book, and then market it on the websites they frequent. This can be more difficult than it sounds. Even if an author is able to identify groups of potential readers, another major difficulty is finding a cost effective way to get a book in front of them. The pay per click advertising offered by internet companies, such as Google and Facebook, can be very tempting. However, Google quickly becomes too expensive, even for the self-published author, who makes a much higher per unit profit. The cost per click almost always runs over $1.00, and in some categories, costs of up to $5.00 are not unheard of. For an author trying to market their own work, this is untenable. In many cases, even if every person who clicked on the ad bought the book, authors would still lose money. This, of course, doesn't happen. Authors can expect that a very low percentage, somewhere below 10% of those who click on their books, will purchase them. Another option for book marketing would be Goodreads. If there were an online space which feels like a bookstore front window, it would be Goodreads. However, I have not experimented with them yet. I was a little turned off because, unlike Facebook and Google, they require an upfront payment. This means that I am committed to spending my money with them even if I do not like the results. So if traditional pay per click advertising is not a viable option for most authors, then what can an author do to market their books? That is really the $64,000 dollar question, and frankly, I don't have the answer. But, I don't think that any other successful author has the answer either. They may know what worked for them, but that doesn't mean it will work for you. I doubt there will be a one-size-fits-all answer. Too many successful authors have answered that question in too many ways. However, that doesn't mean that we cannot find patterns. Some activities will work better than others. What I think we need is more information. As a community of writers, we need to hear stories about what is working and what isn't working in order to be able to put the pieces together into some kind of pattern. Hopefully, if enough of us share our stories, we will be able to pick out the patterns among the noise. Then we can start making sense of what works and what doesn't. So if you have a story to share, head on over to our discussions and look for the post titled Book Marketing: What's Working? What's Not Working? and add your story. Hopefully, over time we can gather enough of stories of success and failure from enough people to make sense of the noise and put the pieces together.